This year, the FVA is publishing its own exclusive Christmas card! 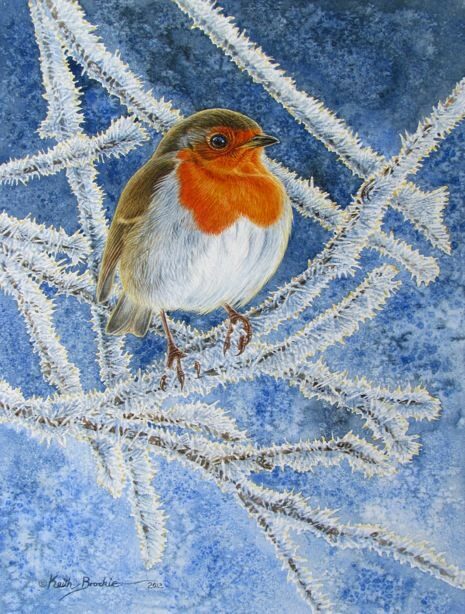 This beautiful card is unique to Fearnan as the original has been designed, painted – and very kindly donated – by Keith Brockie. The cards are printed on high-quality paper, individually wrapped in cellophane, and come with a very seasonal red envelope. They cost £1.50 each, and if you would like to order some, please contact Sue on sg1ardener@talktalk.net or 830493. Stocks will be limited, so don’t miss out and let Sue know how many you would like as soon as possible.